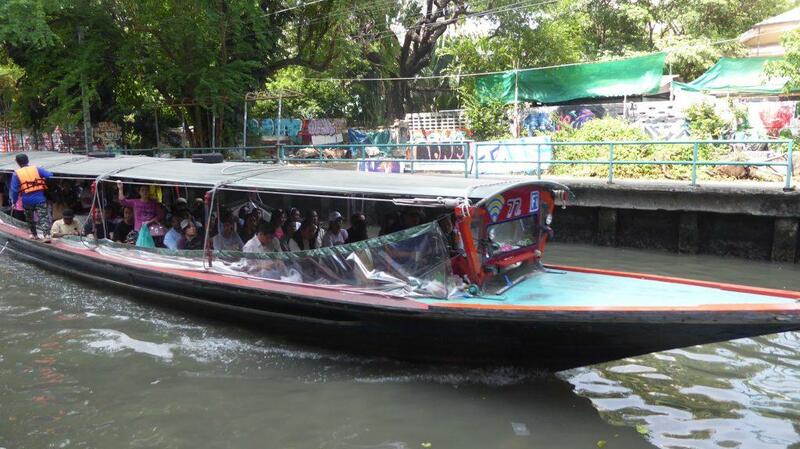 The Canal Boat in Bangkok (Khlong Saen Saep Express Boat) runs up and down the Saen Saep canal. 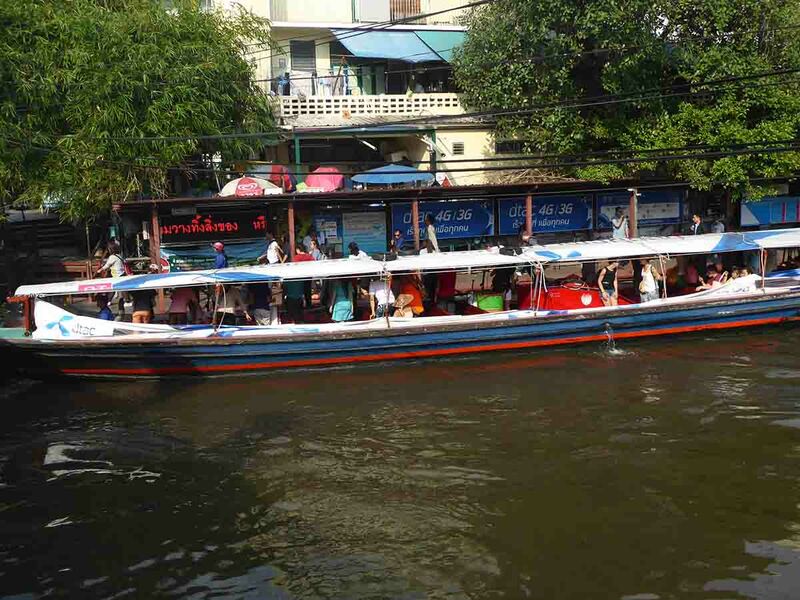 The canal (khlong) is the main canal that runs through Bangkok. 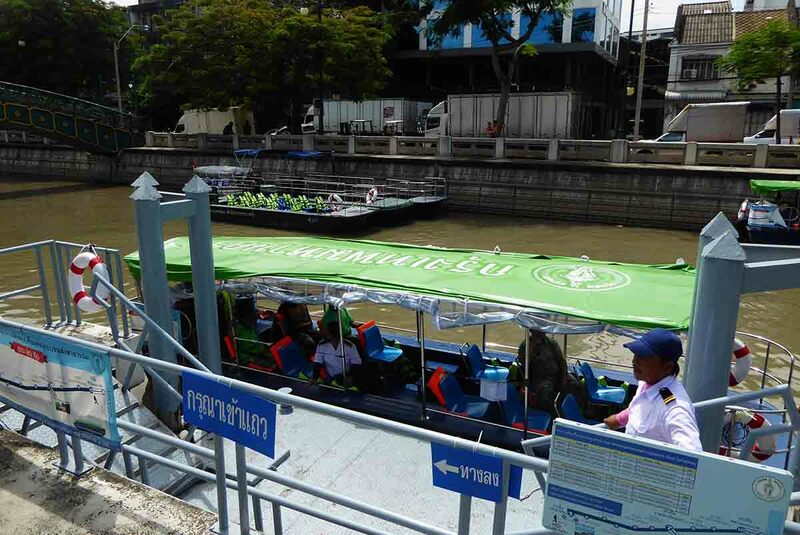 Bangkok canal transport is mainly used by local commuters but is also useful for travelers. It’s quick and the low fare makes it a good way of getting around Bangkok cheaply. There are two lines with an interchange between the two at Pratunam Pier. The Nida line runs from Bangkapi out in the suburbs down to Pratunam, while the more useful for tourists, Golden line runs between Pratunam and Phan Far Lilat next to the Golden Mount (Wat Saket) temple and nearby Khao San Road. The service is cheap and a good way to get down to the Golden Mount as you get to see the canal side neighborhoods from the boat. The service hours are 05.00-21.00 daily. Boats run every 5 – 15 minutes depending on the time of day. They are usually crowded during morning and evening rush hour. 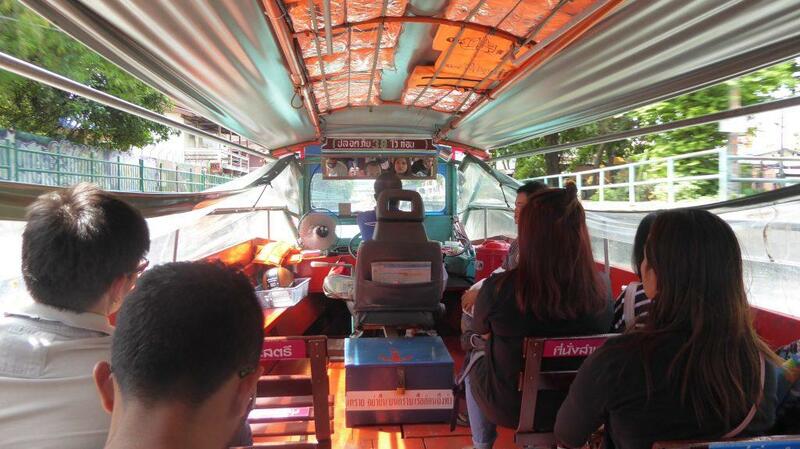 The fare is 10-20 baht depending on your destination. You buy a ticket from the conductor on board. When using the canal boat in Bangkok, be careful when getting on and off, there are ropes to hold on to. Plastic sheets cover both sides of the boat when moving to stop the dirty canal water from splashing on you. Push the green buzzer if you want the boat to stop at a pier to let you off. Pratunam Pier is opposite Central World by the canal. 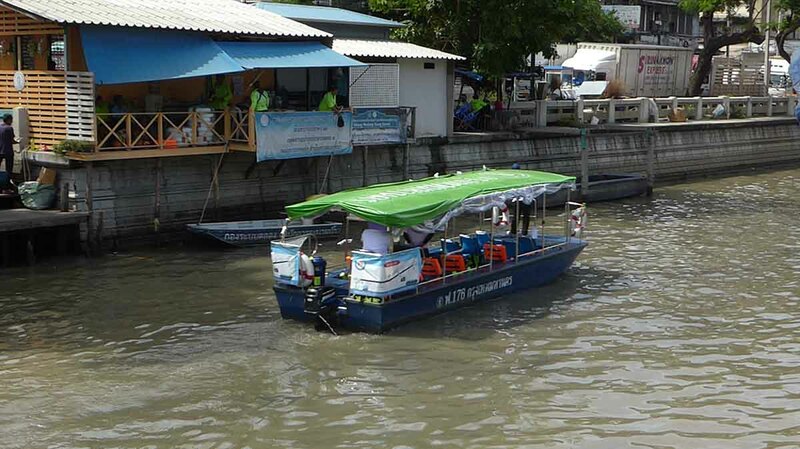 Make sure you get on the correct boat at Pratunam as both lines depart from the same pier. The Hua Chang Pier is on Phaya Thai road between Siam and Ratchathewi BTS stations. It’s a short walk from MBK, and the Siam malls. 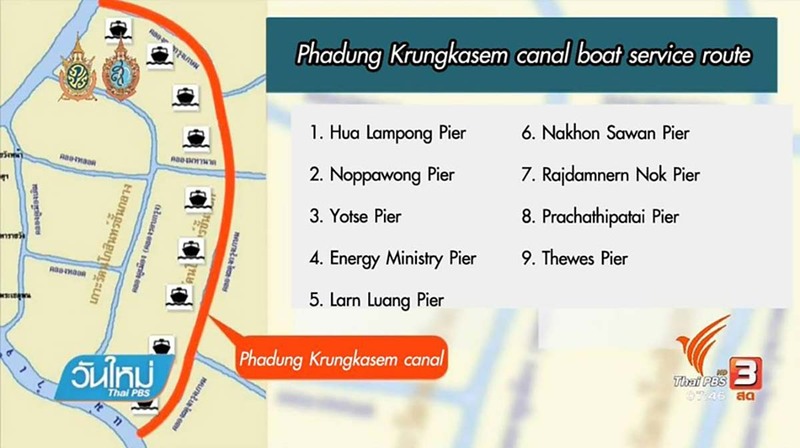 The Phadung Krungkasem Canal Boat is a new service linking Hualamphong Railway Station with Thewet Market Pier which is a short walk from the Chao Phraya Express Boat Thewet pier. The route runs for 5 KM and has 9 stops. The boats are small and only have 12 seats. 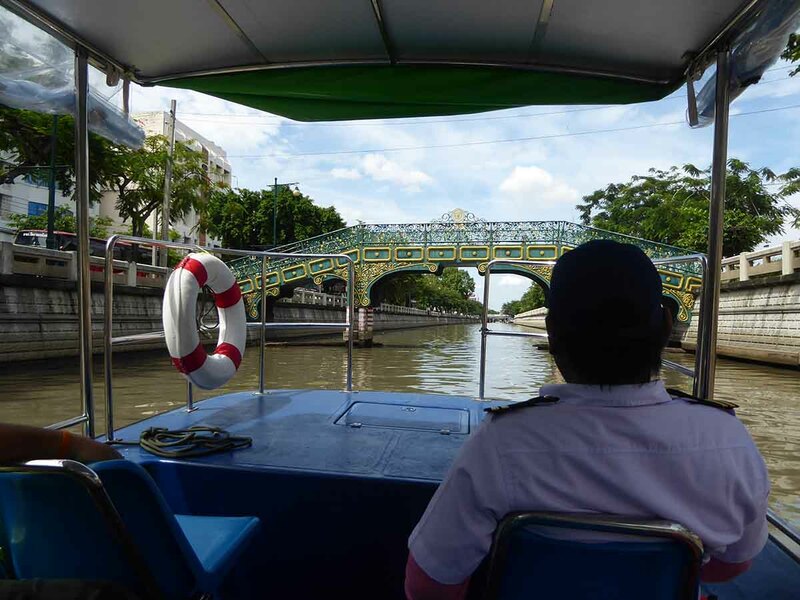 The service is free and is part of the city’s plan to offer more local canal transport routes utilizing the underused network of the city canals. 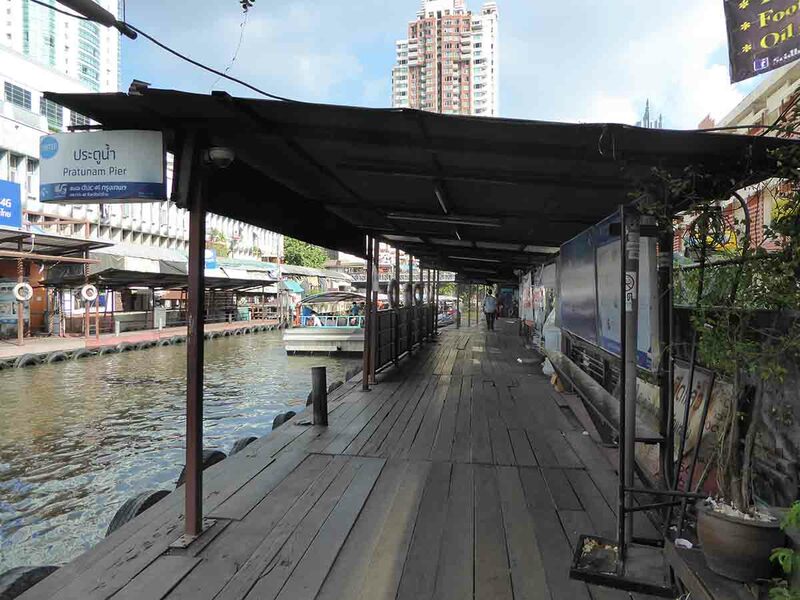 The route is a good sightseeing opportunity as the Phadung Krungkasem Canal is one of Bangkok’s more picturesque waterways. The short 20-minute journey from Hualamphong passes through the edge of Chinatown. 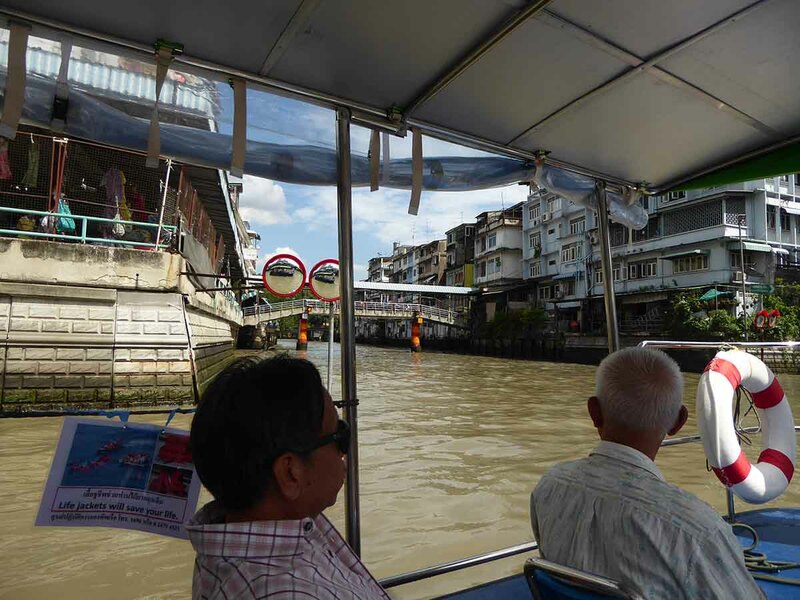 It then crosses the Saen Saep canal and passes the United Nations headquarters and Bobae Market before ending at Thewet Market. The service operates every 20 minutes from 06.00-09.00 and 16.00-20.00 on Monday-Friday. On Saturday and Sunday, the service runs every 30 minutes from 08.00-20.00.